Haq's Musings: British Pakistani Wins "Reinvent the Toilet Challenge"
British Pakistani Wins "Reinvent the Toilet Challenge"
A team headed by Professor Sohail Khan, a British Pakistani researcher at Loughborough University, won $60,000 second place prize for developing a toilet that converts human waste into biological charcoal, which can be burned, and clean water. 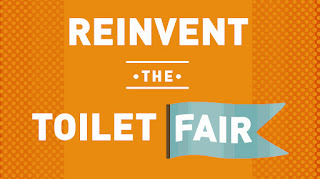 The prize was announced on August 14, Pakistan's Independence Day, at Gates Foundation's "Reinvent the Toilet Fair" in Seattle, Washington, which showcased dozens of similar projects aimed at creating an inexpensive and eco-friendly alternative to the flush toilet. Michael Hoffmann of the California Institute of Technology in Pasadena and his colleagues won the top prize of $100,000. Caltech design uses solar power to run an electrochemical reactor that breaks down human waste to produce hydrogen gas. The gas can be stored and used to run the reactor at night or on cloudy days. according to Science Magazine. Third place prize worth $40,000 went to Yu-Ling Cheng of the University of Toronto in Canada and her colleagues whose design dehydrates and smolders solid waste, sanitizing it within 24 hours. The current flush toilet design is not suitable in places where water supply and sewage pipe infrastructure is not widely available. This describes much of the developing world where open defecation is still common. 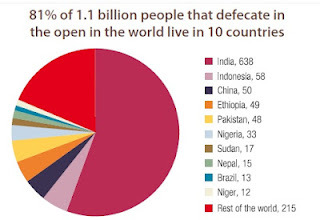 A 2011 UNICEF report said Indians make up 58% of the world population which still practices open defection. India (638m) is followed by Indonesia (58m), China (50m), Ethiopia (49m), Pakistan (48m), Nigeria (33m) and Sudan (17m). In terms of percentage of each country's population resorting to the unhygienic practice, Ethiopia tops the list with 60%, followed by India 54%, Nepal 50%, Pakistan 28%, Indonesia 26%, and China 4%. When you think about it, the flush toilet is actually a pretty outdated sanitation solution. It was certainly an important breakthrough when it was created in 1775 by a Scottish mathematician and watchmaker named Alexander Cummings. Over the decades, it led to a sanitary revolution that helped keep deadly diseases like cholera at bay, saving hundreds of millions of lives. But the fact that four of every 10 people still don’t have access to flush toilets proves that—even today—it is a solution too expensive for much of the world. And in an era where water is becoming increasingly precious, flush toilets that require 10 times more water than our daily drinking water requirement are no longer a smart or sustainable solution. A big part of the challenge is technological. In addition to building new toilets that are affordable and sustainable, we have to develop solutions to empty these new latrines and treat the human waste. We also have to work closely with governments, businesses, and communities to stimulate demand for better sanitation, encourage investment, and create supportive public policies that will allow these innovative solutions to succeed. Inventing new toilets is one of the most important things we can do to reduce child deaths and disease and improve people’s lives. It is also something that can help wealthier countries conserve fresh water for other important purposes besides flushing. We don’t have all the answers yet, but I’m optimistic that we can and will solve this problem. I’m hopeful that this unusual summer fair will be a positive step toward that important goal. Wonderful! Where do we buy? 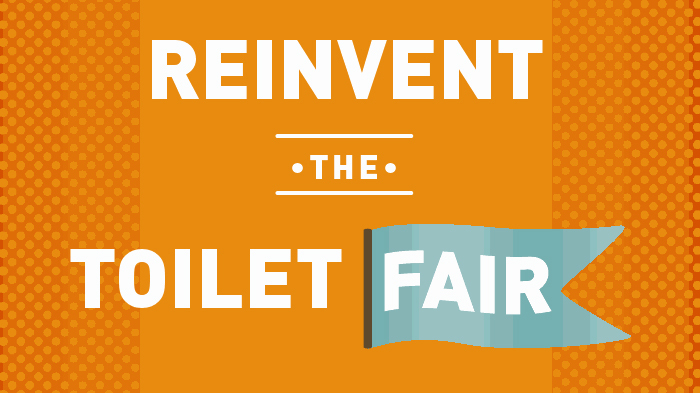 Where is the design or picture of the invented toilet? If it is patented and will be sold for $5,000- a piece how would the world at large benefit? Or, is it the end of the story and we won't hear about it any more. Noor: "Wonderful! Where do we buy? Where is the design or picture of the invented toilet?" This is not a product. It's a research effort funded by Gates Foundation to show what is possible. Here is how Bill Gates summed up the current status: "We don’t have all the answers yet, but I’m optimistic that we can and will solve this problem. I’m hopeful that this unusual summer fair will be a positive step toward that important goal." A hot sweet cup of tea will solve most problems. But it appears that more and more research is proving that tea can help clean water for human consumption. The Turkish government has recognised Buriro’s achievement and sponsored him for a 15-day visit to Turkey, where he was officially introduced as the boy who competed against students from 50 countries. His father, Ghulam Rasool Buriro, is a retired deputy district officer (education), while his mother, Kaneez Panjtan, was the district officer (education) elementary. “My parents encouraged me. They helped me wherever it was possible for them to,” he said. MPA Nusrat Sehar Abbasi of the Pakistan Muslim League-Functional told Sindh Express at an event to honour Buriro that she would bring it up at the next session and recommend his achievement be acknowledged. Buriro is not the only person to have used this particular method to clean water. In the Journal of International Environmental Application & Science published a paper on how used tea waste helped remove phenol from industrial waste water in Kosovo. In 2010, a group of researchers in South Africa developed a high-tech tea bag filter filled with active carbon molecules that can be fitted on top of a bottle to purify water as it is poured on a cup. Closer to home, chemical engineers at the Mehran University of Engineering and technology, Jamshoro published a paper last year in the Sindh University Research Journal on how they used tea waste to remove arsenic from aqueous solutions. They referenced similar work done by four researchers who published their findings in the Iranian Journal of Environmental Health Science & Engineering in 2007. A cursory search with the terms ‘adsorption of heavy metals with tea waste’ on Google Scholar revealed 10 hits per page. He is a runner-up and NOT a winner. Maybe India should give him honorary citizenship. They are the ones who need this the most, with 2/3 of all open defecation in the world being practised in India with 800 million "outdoor-types". Good news coming out Pakistan and Pakistani Diaspora.